If you were hoping to order a 2019 Chevrolet Silverado or 2019 GMC Sierra with the new 3.0-liter straight-six turbo-diesel engine anytime soon, it seems the Great White North has a bit of a head start on the configuration aspect of things. According to TFLTruck.com, GM Canada is allowing customers to configure the new pickup trucks with the new 3.0L Duramax LM2 diesel engine. However, the U.S. sites for Chevrolet and GMC don’t offer the new engine as a choice during configuration. 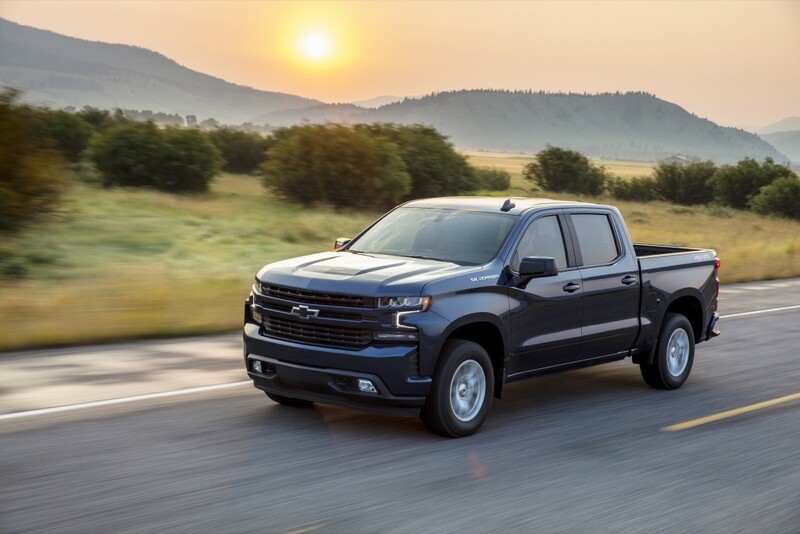 In Canada, General Motors will offer the engine with both double-cab or full crew-cab body styles on two- or four-wheel-drive equipped Silverado models. Trims the engine is available on include LT, RST, LTZ, and High Country. For the GMC Sierra, it appears the engine is available with all body styles, two- and four-wheel drive, and with the SLE, Elevation, SLT, AT4, and Denali trims. Neither of the Canadian GMC or Chevrolet sites lists pricing information for the optional engine or engine performance specifications. When configuring a truck with the 3.0L Duramax engine, the total price indicator says, “See Dealer For Pricing.” At least, for now. Just last week, order books opened. Along with it were allegedly leaked specs detailed the engine’s performance and capability. The new 3.0L Duramax diesel engine is expected to produce 282 horsepower and 450 pound-feet of torque, and is also rumored to have a 7,800-pound towing capacity and have a fuel economy rating of 29 miles per gallon, which would be impressive for the large trucks. It’ll pair exclusively with GM’s 10-speed automatic gearbox. GM’s new turbo-diesel engine for the Silverado and Sierra come as American automakers are warming up to the powertrain. Both Ford and Ram are offering diesel engines in their competitors. However, it appears GM will have the most powerful diesel engine if the rumored specs turn out to be true. Stay tuned to GM Authority for more GM 3.0L Duramax LM2 news coverage, as well as for Silverado news and Sierra news. LT but no LT Trail Boss? I’m really hoping the 7,800 pound tow rating is a misunderstanding. I’m assuming now that it is. Does anyone know the weight of the new GM 3.0L Duramax Diesel?